Making the Healthy Choice the Easy Choice: What the Record Shows | Let's Move! Consider each of these individuals: a student who has healthier options for breakfast and lunch at school; a neighbor who uses SNAP and can now buy more fruits and vegetables; a friend with diabetes who was denied health insurance in the past but can now get it; or a colleague who walks to work thanks to the mayor who pushed to make her city more walkable. This is what it means to have the healthy choice be the easy choice. It can be simple to think about what occurs in our schools, in our grocery stores, in our communities, and in our hospitals as distinct and even unrelated. But, the truth is, they are all inextricably linked. From the food our kids eat and the physical education they get in school to the preventive services we get in the doctor’s office without a co-pay or the bike and walking paths in our community—these are elements that are now ingrained in our lives thanks in large part to the President and the First Lady’s efforts. Like brushing our teeth or covering our mouth when we sneeze, they help us stay healthy and have become second nature to us. 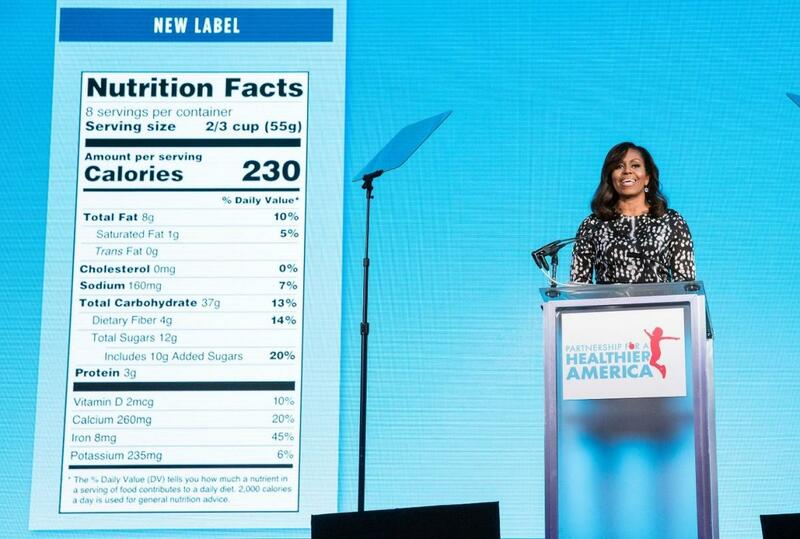 Modernizing the Nutrition Facts label to help consumers make informed choices. We must utilize it to make healthy eating and active living increasingly the norm—to make these healthier choices the easier choices for all Americans!